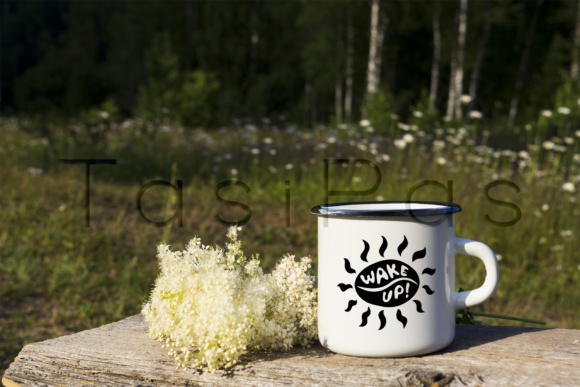 Purchase White Campfire Enamel Mug Mockup with White Flowers. White Campfire Enamel Mug Mockup with White Flowers. 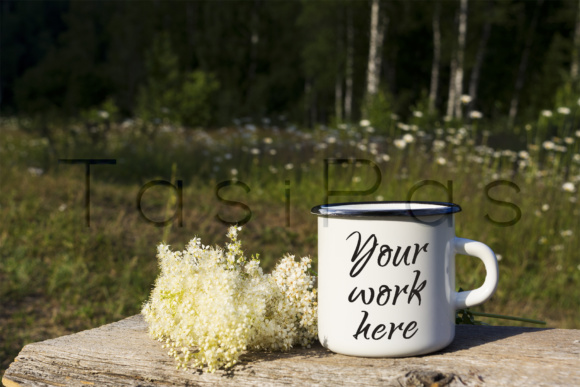 Home / Graphics / Product Mockups / White campfire enamel mug mockup with white flowers. 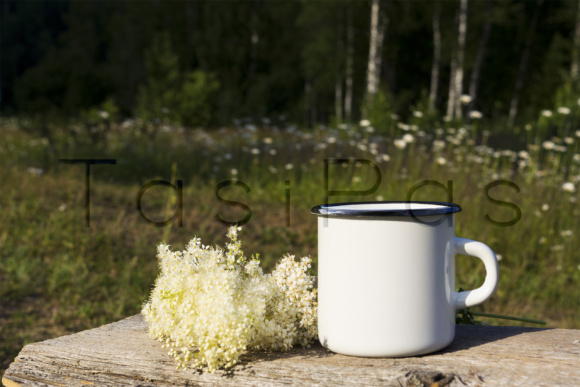 Campfire enamel coffee mug mockup with white wild flowers on the old timber. Empty mug mock up for design promotion.